Planning for a vacation is such a hassle. You need to book for a cheap flight, look for a nice hotel or your Airbnb apartment, and make a day to day itinerary. But when the date is approaching you get pretty excited and you can’t sleep at night because you always think of your dream vacation. But before travelling, there is this thing called “Packing”. Packing your things is very stressful yet fun. You get to choose which clothes are you going to bring, flat layering it on your bed to mix and match your outfit for each day. Okay, now you are all set. Ah really? Of course not. 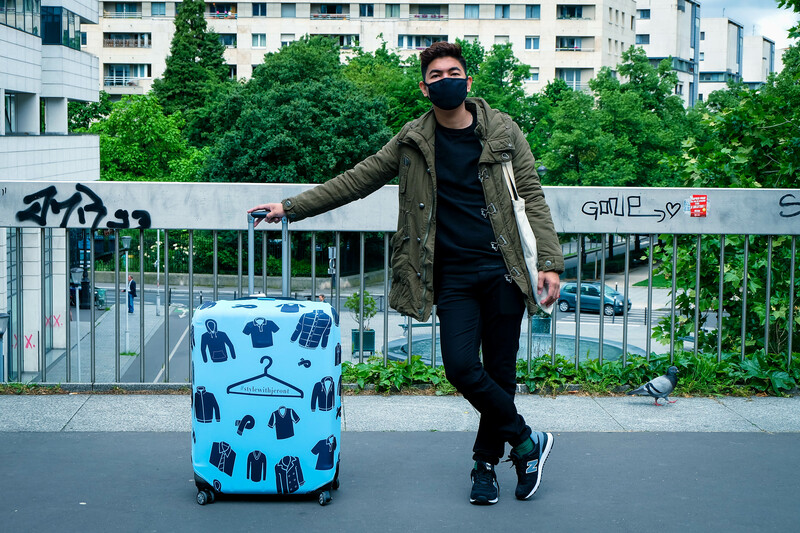 You may have that sense of style with your clothes but what about your luggage? Luggage is an essential when travelling. So we dress them up by a luggage cover. Most of the luggages have similar designs, they are mostly dark, rectangular, and wheeled. 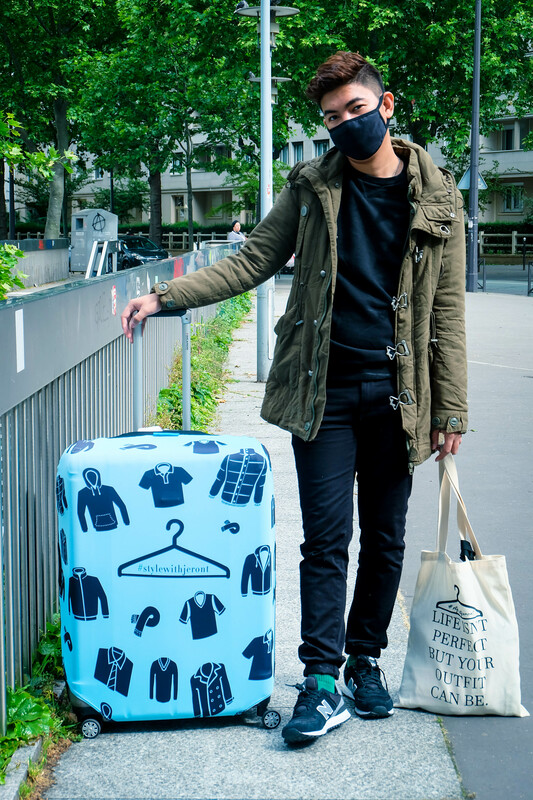 Having a customized luggage cover may help avoid your luggage from being damaged and you can easily spot your luggage at the baggage carousel because it is unique and extremely eye catching. This may also prevent your suitcase from becoming the victim of mistaken identity. And that is why Wanderskye is to the rescue. Wanderskye is a premium travel accessories company on its mission to bringing fun and unique products crafted with creativity and made with quality. As the first company which introduced luggage covers in the country, Wanderskye now offers wide variety of merchandise including the Vintage Luggage, Waterproof Luggage Cover, Backpack Cover, Reversible Luggage Cover, Clear Luggage Cover, Infinity Bag, Universal Travel Adaptors, Luggage Strap with Weighing Scale, TSA Locks and the 2-in-1 Neck Pillow with Blanket! Armed with the goal to enhance travel experience, Wanderskye aims to continue to offer more fun and practical products which are designed by creative artists. They are the first company which introduced luggage covers in the country, they offer a wide variety of merchandise from Vintage Luggage to Waterproof Luggage Cover, Backpack Cover, Reversible Luggage Cover, Clear Luggage Cover, Infinity Bag, Universal Travel Adaptors, Luggage Strap with Weighing Scale, Neck Pillow with Blanket and many more. 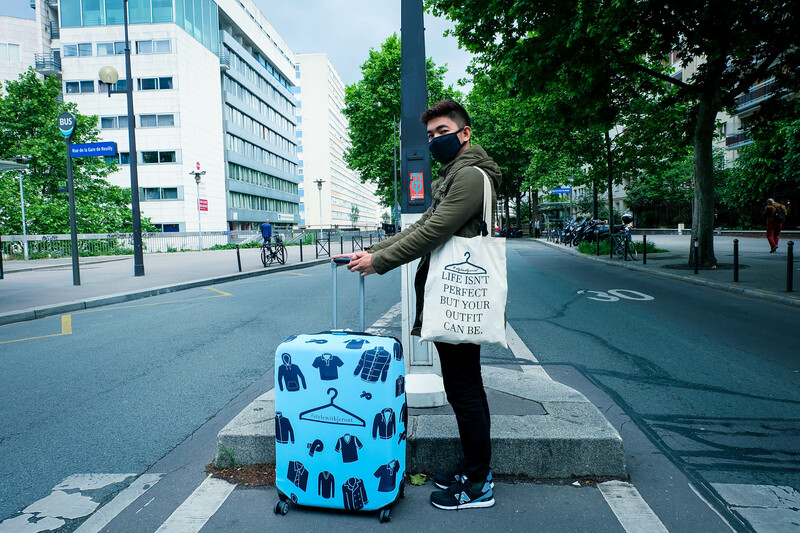 Here are the other photos of me enjoying the luggage cover by Wanderskye. Thanks to Juan, a friend of mine who took these beautiful photos. Get your first luggage cover at Wanderskye now! Thank you so much Wanderskye for sending me this beautiful customized luggage cover. I got a lot of questions during my travel in Europe in where I got my luggage cover. Again, muchas gracias! Ahhh, I love everything about this Jeront! I need one too! Yeah, I know. Especially if you are travelling a lot!